This is a beautiful story of becoming a mother, parents, to a gorgeous baby boy via adoption. Lucy from Hertfordshire also shares some really insightful information about the process here in the UK and you can just feel the unconditional love for her boy spilling out from her writing. I always knew I was going to be a mum. From playing mummies and daddies with my little brother and sister to loving playing in the ‘Home Corner’ at school. From playing with a Tiny Tears dolly to being the ‘mummy’ who looked after everyone on a night out with the girls. We always knew we were going to be parents. My husband and I chose our first baby boy name 2 months into dating. We imagined family days out, pregnancy cravings, sleepless nights, three in a bed. We started trying for our family in 2014 and by 2016 our patience had run out for leaving it up to nature. We both went along to speak with our doctors and for various test to be completed. These tests would later confirm that we were not going to be able to have children naturally. ICSI was our only option. Dazed and confused we went home and started processing our grief- this was not how it was supposed to go… why was it so easy for everyone else… why not us…why, why, why?! Everywhere I looked people were having babies. Two of my closest and dearest friends, my business partner, my sister in law… I even began to curse the anonymous pregnant ladies on the street (under my breath of course!). Grief stricken we spent the next week in a fog. Feeling sick to the stomach that life had been turned on its head and it looked ugly this way up. Something didn’t sit right with the ICSI process. Too sterile, too manipulated, too artificial, too risky, too painful. We couldn’t fathom going through a grief like this again if the process didn’t work out. Yes, admittedly, we had a pretty negative outlook even with countless ‘against all odds’ stories being regaled to us by friends. But as soon as we said the words ‘what about if we considered adoption’, it was honestly as if a huge weight was lifted from our hearts and it felt right. So, we started the research and attending information evenings. It was daunting and intimidating yet it felt so right! Adoption in this country is not like you see in the movies – little babies given up for adoption as soon as they are born. The sad reality is that the children who can be adopted have experienced neglect and abuse and have often lived in multiple houses in their short lives damaging their ability to form meaningful relationships and attachments. We decided to ‘sign up’ with our local authority and so the training sessions, interviews and homework began! We were taught about attachment issues, childhood trauma, play therapies, the court process and building resilience as a parent. 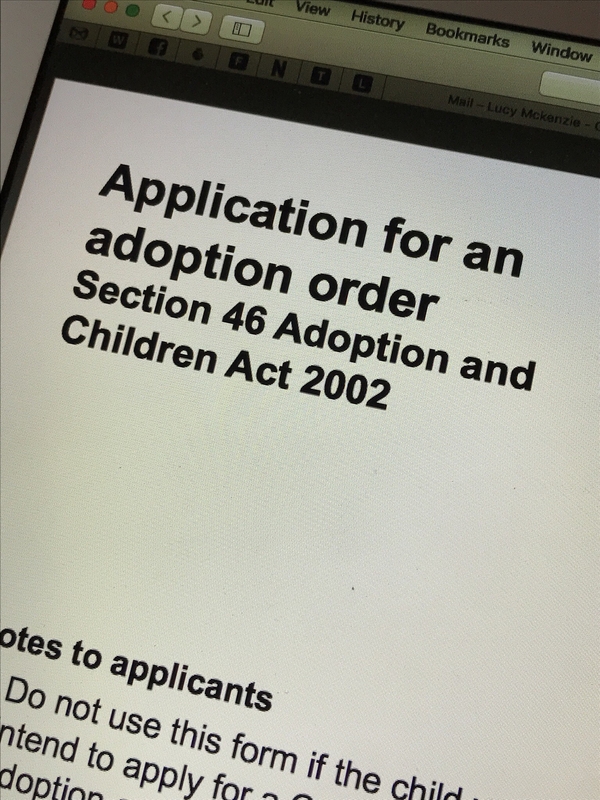 Over the second part of the 2 stage process to become ‘approved adopters’ we wrote essays and had weekly interviews with a social worker before going in front of a panel of more social workers and medical advisors to be given the approved status. This process for us took 8 months. Of course, there were times when self-doubt would kick in and we thought we would never get approved or the anger would take over at strangers looking onto our personal business when everyone else got to have a baby unchallenged (we were actually asked by our social worker at one point ‘what was your last argument about and how did you resolve it’)! As ‘approved adopters’ we could start our search for our missing family member at Family Finding events where profiles of children (always with adorable photos attached) are displayed around a room for you to consider if they might be the right match for your family. Most children are over the age of 2, many of whom were in sibling groups. These profiles detail the background of the child, their likes and dislikes, the trauma they have faced, the behavioural challenges they now display as well as stipulate the type of family they would be best suited to. I am asked often, ‘do you get to choose a boy or girl?’, ‘do you get a say in what age, ethnicity etc’. The answer is absolutely yes. These children have very specific, demanding, unique qualities and challenges. If you and your family do not feel like you would be able to meet those needs or the professionals feel like it wouldn’t be a good match, a placement match will not go ahead. The last thing these children need is to be told ‘this is your new mummy and daddy’ and for that placement to breakdown and then face yet another move back into a foster home. Through a very unique set of circumstances, we were approached by social workers to consider the profile of a 2 week old baby in November 2017. As the baby was so young it would be considered an ‘early permanence’ placement where we would effectively be fostering this little one until the courts had seen out their processes and meetings (oh the endless meetings!) to grant an adoption order. This is a very new type of placement in England and comes with risks and once again a lot of paperwork but one that prevent multiple, traumatic house moves and changes in care giver before moving to an adoptive home. It means adopters have their child from a very young age and can start that powerful parent bond as close to birth as possible. Fast forward through a host of meetings, phone calls, heart to heart converstaions and trips to Mothercare, our little boy arrived on our doorstep on 1 December 2017. The outside world disappeared while we learnt how to prepare a bottle, how to change a babygro, what sleepless nights where and while we fell in love with this beautiful baby boy. 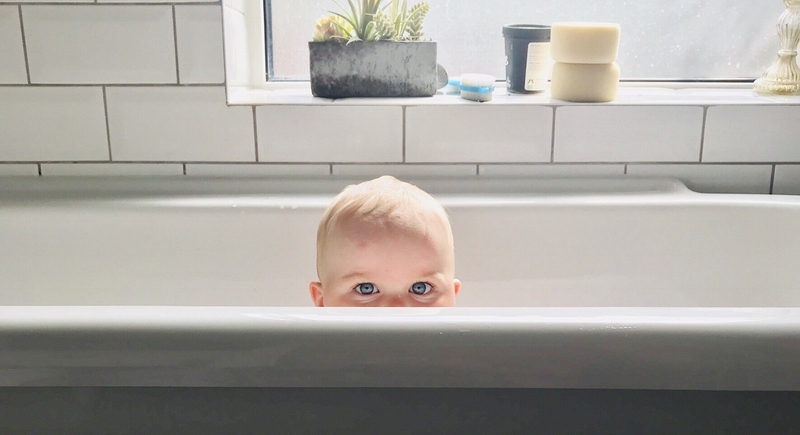 Social workers recommend that you lock yourselves away from friends and family for about 6 weeks when an adopted child is introduced to their new parents in order that the child can adjust to the new sights, sounds and smells and therefore attach properly to their new care givers. We happily hunkered down for the very snowy month of December, drinking in this miracle baby that we could call our son. And so, a year has now passed and we have celebrated his official adoption at court in August, his first birthday and soon the anniversary of his moving in. Oftentimes I forget I didn’t give birth to him and these extra pounds round my tummy is not baby weight and the similarities between him and my husband is just a freakish coincidence. And while my little boy is currently trying to bash this laptop out of my hands, I can smile at him and tell him how much mummy loves him because I am at last the mum I have so longed to be and I know our world is, at last, the right way up.